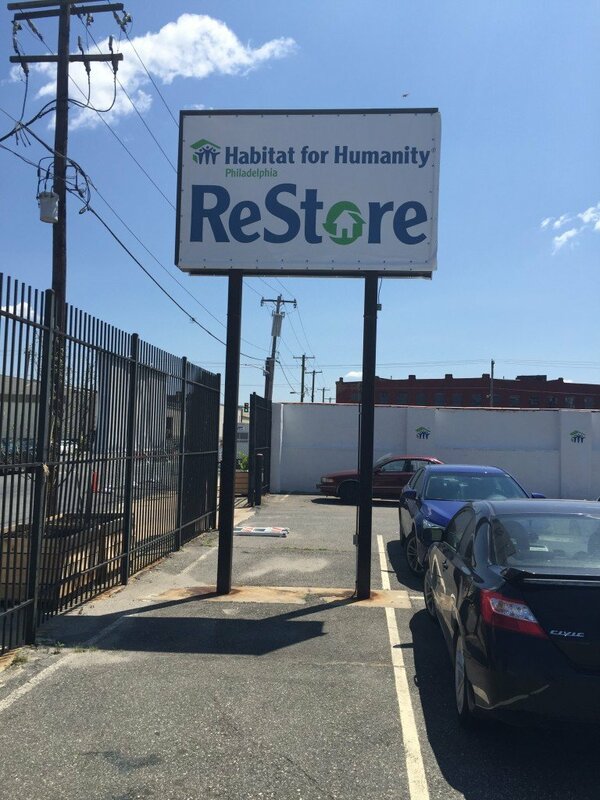 23 Jul Do you know about Restores? 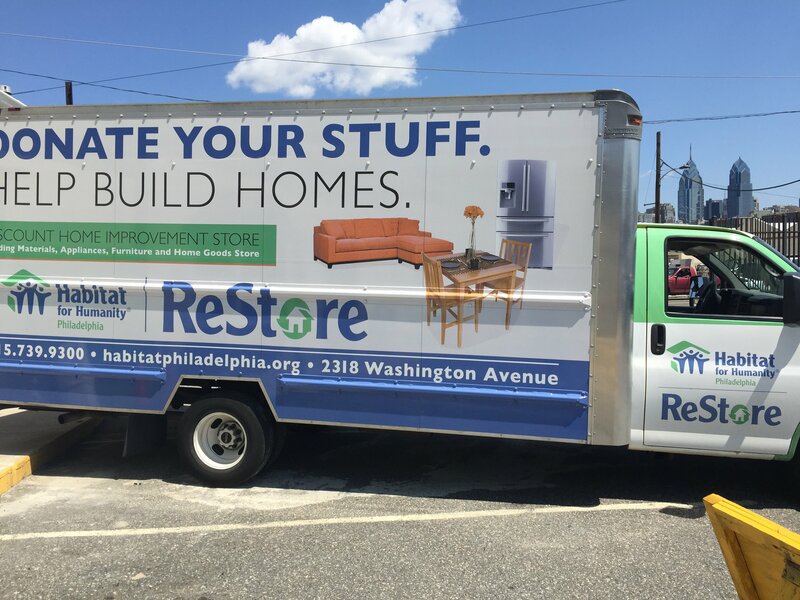 In Habitat for Humanity’s own words, “ReStores are nonprofit home improvement stores and donation centers that sell new and gently used furniture, home accessories, building materials, and appliances to the public at a fraction of the retail price.” You can shop or donate, and proceeds go to Habitat for Humanity’s efforts. 2. 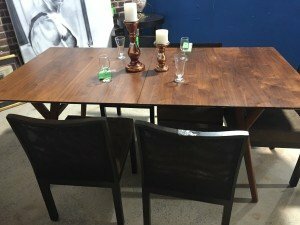 West Elm Wood Dining Table. In perfect condition. $250. 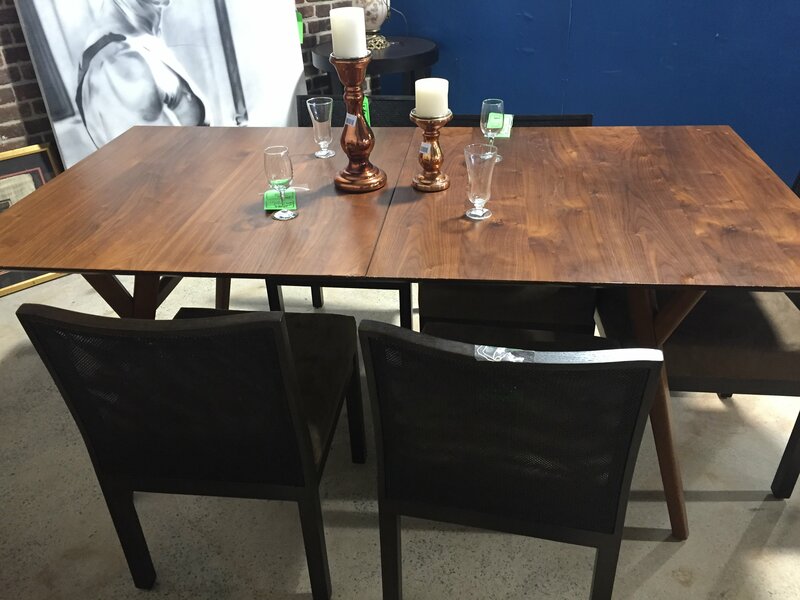 This is less than half the price of getting something like it brand new from West Elm. 3. 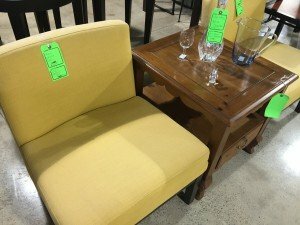 Pair of West Elm Chairs (yellow). Clean-lined and cheery. $125 each. About a third of the price of something similar purchased new. 4. 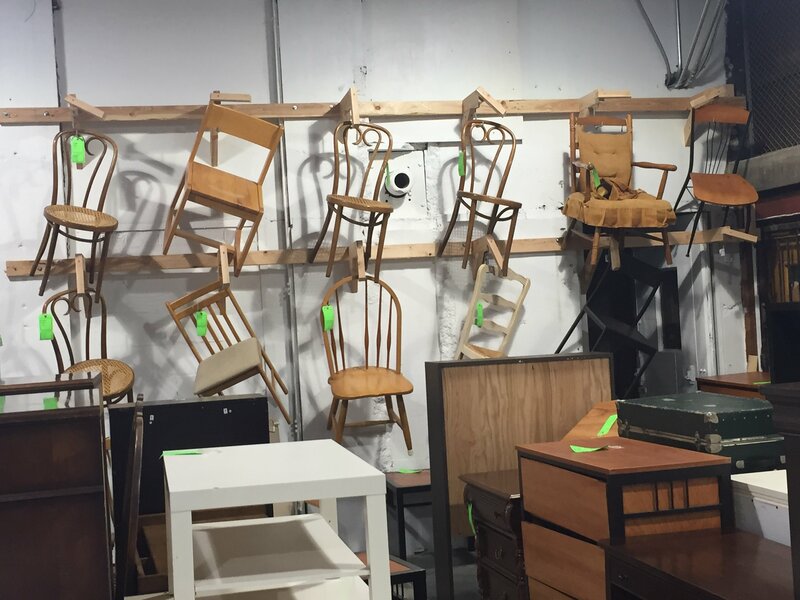 Wall o’ chairs. Various conditions and various prices, but what a great display technique. 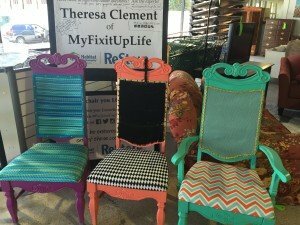 Buy all 12 chairs and recreate this compelling wall sculpture at home! 5. 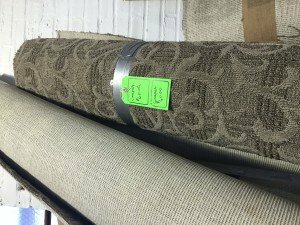 Carpet remnant – $60. 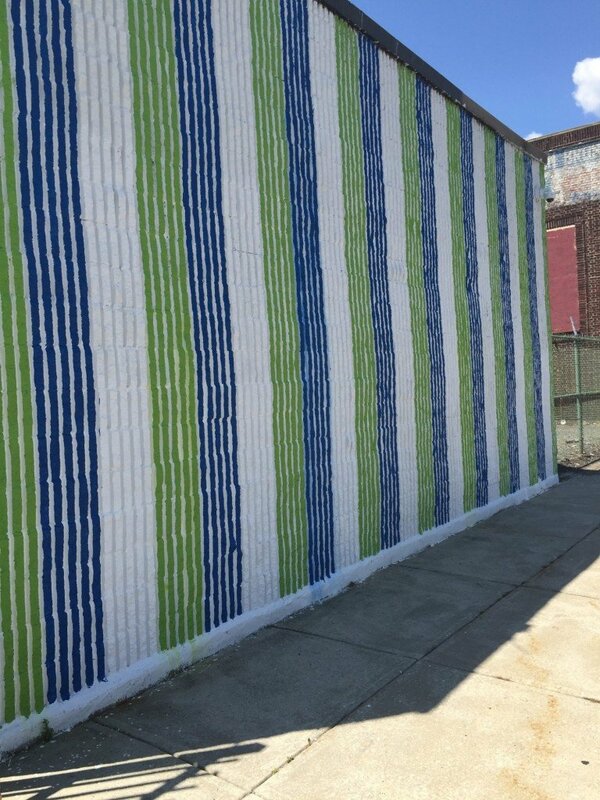 Seriously, even once you factor in the expense of getting this thing bound, it’s still a very reasonably priced rug, and you could get it custom cut to whatever size you need. I wouldn’t swear by it, but it looks like it’s made of Nylon, which pretty much will ugly out before it ever wears out. 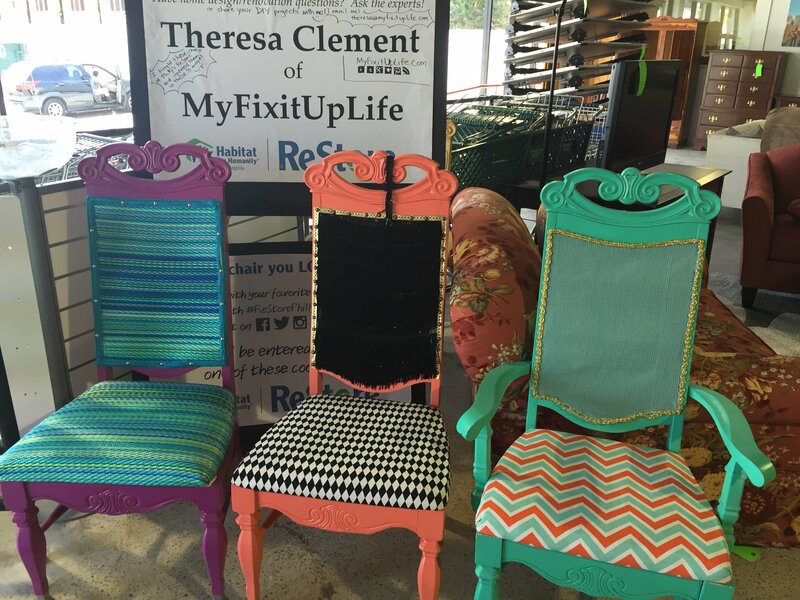 My advice – get there fast to scoop up these great finds. Or check back often to see what new things come in. Who loves you? We do here at down2earth interior design! And keep sharing the love – tell us about your successes at ReStore or other second hand shops. We’d love to hear from you!